Well, I got another weird email…. Just so many questions for you about this email. Is it possible that this email has been bouncing around the magical interwebs for five years and just finally arrived in my inbox? That has to be it, right? Blast you internet, you are ruining my life! What other emails are you hiding from me? Let me live my life Google, you aren’t the boss of me! Or is it possible that the school is really five years behind on their paperwork? I sure hope not because I already finished my Spring 2009 classes…and passed…and then two years later I graduated. I so badly don’t want to repeat that semester because frankly it wasn’t that great. And then there is possibility three: that time travel is real and this is a message sent from the future warning me about Spring Semester 2009, but the thing about time travel is that its tricky and sometimes messages go rogue and land in the wrong year. We just haven’t worked all of those blasted kinks out of the system yet, but I have hope because according to Back to the Future 2 this is the year we really make science worth all the trouble…and cue the hoverboards! 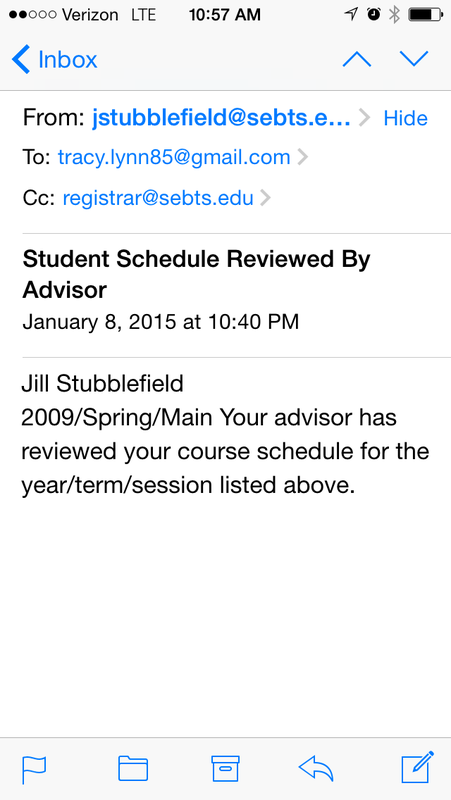 Anyways, Mrs. Stubblefield, I’m happy to know that you are my new advisor, because frankly my advisor when I ACTUALLY went to Southeastern was truly awful…which could also be the reason that this email is five years late. Thanks for the message; it made me smile. Good luck in the Spring of 2009. If this message is coming to you from the future than I don’t want to spoil too much for you, but you may want to go invest in Netflix…it’s gonna be a thing. You’re welcome! 15 Jan	This entry was published on January 15, 2015 at 12:00 am. It’s filed under Uncategorized and tagged college, doctor who, email, interweb, spam, time travel. Bookmark the permalink. Follow any comments here with the RSS feed for this post.